September 30, 2015 – Pacific Western Technologies Ltd., is awarded a five-year Unified Regional Oversight Contract for Regions 5 and 6 by U. S. Environmental Protection Agency (EPA). The contract is to provide technical support to EPA in fulfillment of its responsibilities for oversight and enforcement of both CERCLA and RCRA activities at active, closing, former Federal facilities, or non-Federal facilities. Project locations may include Base Realignment and Closure installations, and Formerly Utilized Remedial Action sites, and non-Federal sites. Work will be performed in Regions 5 and 6 which consist of Minnesota, Wisconsin, Illinois, Indiana, Michigan, Ohio, Arkansas, Louisiana, Oklahoma, Texas and New Mexico. Total ceiling for this five-year contract is $9.0 million. August 26, 2015 – Federal Highway Administration (FHWA) Eastern Federal Lands Highway Division (EFLHD) awarded Pacific Western Technologies Ltd. (PWT) a 5-year road inventory contract at total contract value of $3.2 million. Since 2004, PWT has been providing data collection, database administration and quality assurance support, Geographic Information Systems support, and reporting quality assurance support for EFLHD Roadway Inventory Program (RIP). The EFLHD established the FHWA RIP and began collecting a complete inventory and condition assessment of roads, parkways, and parking areas within the National Park Services (NPS) road network. Condition assessments are also conducted on other EFLHD Partner Agency Roads, including Bureau of Indian Affairs, U.S. Forest Services, U. S. Fish and Wildlife Services, Bureau of Land Management, U. S. Army Corp of Engineers, and some state department of transportation. PWT road inventory crew uses a fully equipped data collection vehicle to collect road condition data on paved Partner Agency routes. July 27, 2015 – The Environmental Protection Agency (EPA) Superfund Division announced today, it is extending its Remedial Action Contracts (RAC) and Regional Oversight Contracts (ROC) with nine of its current contractors for a period of one year, with two one-year options. The purpose of this extension is to allow EPA time to implement its new Remedial Acquisitions Framework (RAF). Only a small portion of current existing contracts, 9 out of 31, are being extended. PWT is among the nine contractors selected and was initially awarded the 10-year RAC contract in January, 2006. 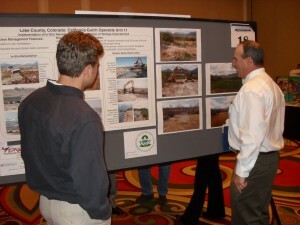 The May issue of the Environmental Protection Agency’s newsletter, Technology News and Trends, features an article on climate change adaption at the Rocky Mountain Arsenal site. It was distributed to the publication’s 12,800 subscribers online. This issue also was announced in the June 1 TechDirect news message, which currently reaches over 37,000 subscribers; the message can be viewed at the TechDirect site. Pacific Western Technologies Ltd. (PWT) is pleased to announce that it has established an affiliated company and acquired the assets of EarthFax Engineering Inc., a Utah-based engineering consulting firm. The new company is known as EarthFax Engineering Group, LLC (EEG). Located near Salt Lake City, EEG has more than 30 years of experience providing civil engineering, environmental engineering, geotechnical engineering, hydrology, geology, land reclamation, and environmental permitting services to commercial clients, including oil & gas companies. With a combined work force of more than 100 environmental professionals and support personnel, this affiliation allows both companies to better serve our clients through enhanced technical and geographic capabilities. Additional information regarding EarthFax can be found on their web site at www.earthfax.com. 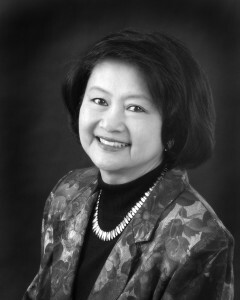 Pacific Western Technologies co-founder and Board Chair, Ding-Wen Hsu, has been selected to be honored in Colorado’s Women’s Hall of Fame for her work as a business leader and her multi-cultural community support in Colorado. Ms. Hsu shares this honor with a number of notable Colorado women including Molly Brown and Mamie Eisenhower. This honor is given to recognize diverse accomplishments that include leadership, entrepreneurism, humanitarian advocacy, and artistry. Hsu’s work includes co-founding the International Multi-Cultural Institute that exists to promote harmony, eliminate prejudice and discrimination, combat community deterioration, and defend human and civil rights. As part of her passion for community work, Ms. Hsu also created the two-day Colorado Dragon Boat Festival, an inclusive celebration of Asian culture through visual, culinary and performing arts. Ms. Hsu and her husband, Dr. Tai-Dan Hsu, co-founder and CEO of PWT, are both strong supporters of cultural diversity, opportunity, and education. They work to share these principles with all those touched by their business and in the expansion of their inclusive community. Award for Excellence presentation made to Mr. Bill Pancake of Pacific Western Technologies, Ltd by Colonel John D. Keenan, Deputy Garrison Commander at Fort Carson, Colorado on Thursday, April 19, 2012 at the Environmental Quality Control Committee quarterly meeting. “Mr. John William (Bill) Pancake of PWT, Ltd. had just taken over as the new Facility Manager of the HMCC. He had several tasks ahead of him to become compliant with Federal and Local environmental regulations. These tasks would normally require numerous funds to accomplish however, Mr. Pancake accomplished this through a total revamping of his supply warehouse and system of conducting business. Within 60 days, Mr. Pancake was able to become completely compliant with the required Federal and Local regulations without the use of any additional funds. Soldiers have been immensely satisfied with the better customer service and layout of the establishment. His actions have reduced the wait time for units picking up products, reduced the imminent environmental impacts in case of a spill, and created a sustainable workable environment for his employees. He has also become more accountable for the products in stock and free issue. He has shown that a business can operate successfully, when done right the first time”.